Inspired by real events, The Perfect Storm is a melancholy ode to fishermen and a life spent battling the hidden dangers of the ocean in search of a livelihood. Director Wolfgang Petersen combines nature's fury with a human-centred drama that keeps memorable characters ahead of the raging special effects. It's 1991, and the town of Gloucester, Massachusetts has for generations served as the home base to a fleet of swordfishing boats. 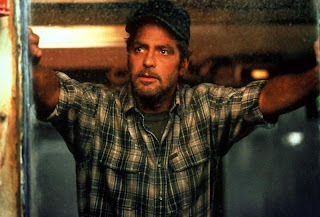 Captain Billy Tyne (George Clooney) has been riding a recent streak of rotten luck, his boat the Andrea Gail bringing in a lot less fish than expected for owner Bob Brown (Michael Ironside). Although it's late in the season, Billy decides to set out for one more run, hoping to turn his luck around. His crew members are unenthusiastic about another exhausting fishing excursion, but they need the money. Among them is Bobby Shatford (Mark Wahlberg), who is planning to settle down with girlfriend Christina Cotter (Diane Lane), and although she begs him not to leave her again, he joins Billy for the extra cash. With the Andrea Gail far out on the water as Billy searches for the perfect spot to snag the big fish, three different weather systems collide in the North Atlantic, creating a mammoth storm. Billy and his men make the decision to attempt a return home through the storm rather than wait it out at sea and watch their catch rot. Meanwhile, the leisure yacht Mistral is caught in the storm, and the three crew members need to be rescued in treacherous conditions by the Coast Guard. A Coast Guard helicopter subsequently runs out of fuel, ditches in the stormy seas, and the rescuers themselves are in need of a rescue. By necessity, The Perfect Storm fills in a lot unknown gaps about the last journey of the Andrea Gail. Little is actually confirmed about what transpired on the boat's final journey, and given the relative freedom afforded by the absence of a historical record, the William D. Wittliff script, adapting the book of the same name by Sebastian Junger, imagines a moving scenario of tension, errors, conflicts, heroism and sacrifice. The wisdom of including the story of the Mistral and the subsequent ditching of the Coast Guard rescue helicopter as part of The Perfect Storm's narrative is debatable. In real life the yacht that serves as inspiration for this incident was called the Satori, and of course a lot more is known about its rescue, and the subsequent drama of the Coast Guard needing to rescue their own after the chopper ditching. But in the context of The Perfect Storm, the Mistral story is introduced deep into the movie, almost as an afterthought, and generally takes away from the tragedy unfolding on the Andrea Gail. 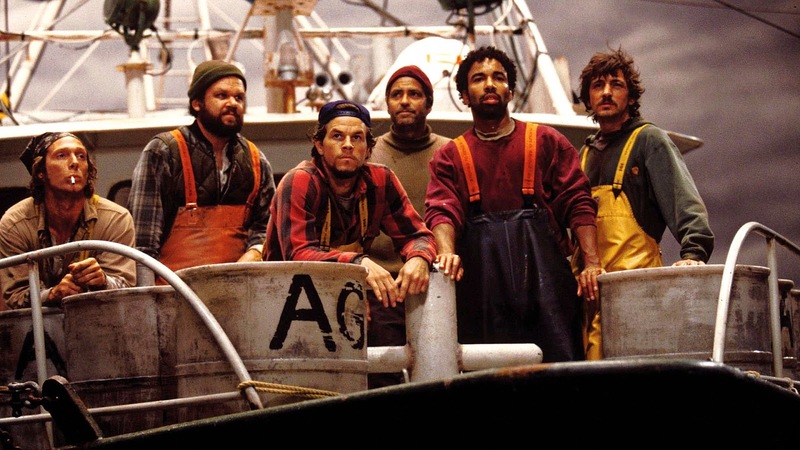 The crew of the Mistral (despite the presence of Karen Allen) and the Coast Guard rescuers remain largely faceless, stock characters, compared to the depth afforded to the crew on-board the Andrea Gail. When the focus is on the fishermen and their lives, The Perfect Storm benefits from a stellar cast bringing to life the passion and yearning of the men and women who live and die by the sea. 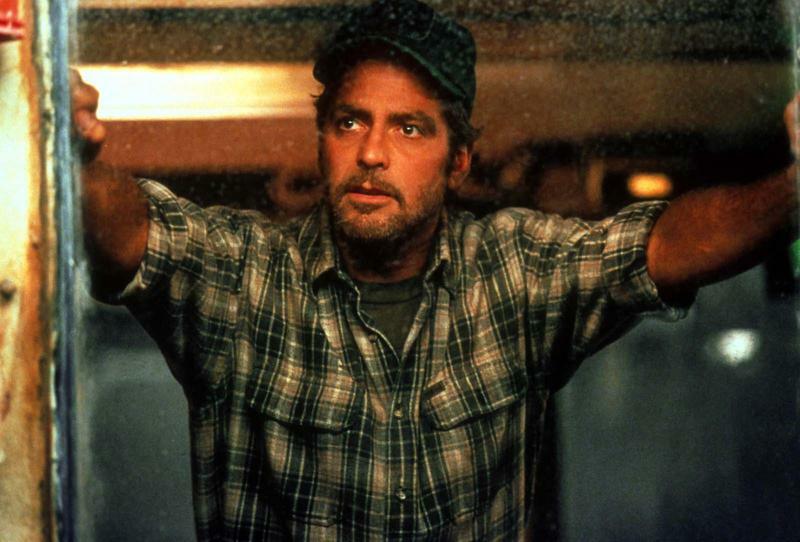 George Clooney finally found his breakthrough big-screen role as Captain Billy Tyne, a desperate man determined to risk everything to triumph over a devastating losing streak. Clooney's achievement is in making Billy likable despite him being down-on-his-luck and not very sociable. Both Clooney and Billy spring to life when the ocean demands the highest level of attention, and Clooney brings to the role the raw humanity of a most imperfect man facing his most cataclysmic challenge. Mark Wahlberg as the young rookie Bobby Shatford provides able support as a willing and more than capable crew mate looking to make a few more dollars to kick-start his domestic life. John C. Reilly as Murph is the veteran presence, perhaps what Bobby can look forward to several years on. 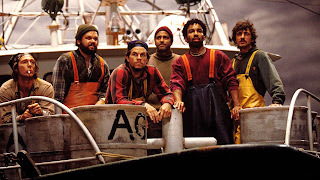 Murph stokes a nasty feud with another crew member on board the Andrea Gail, in another example of The Perfect Storm not shying away from portraying the crusty edges of men who live in tight quarters for weeks on end in search of large smelly fish. Captaining a sister boat is Mary Elizabeth Mastrantonio as Linda Greenlaw, delivering a touching performance as Billy's soul sister and the last person to make radio contact with the Andrea Gail. Back on shore, Diane Lane as Bobby's girlfriend and Janet Wright as his mother (and local inn keeper) represent the home front, and they add greatly to completing the fabric that defines a fishing community. 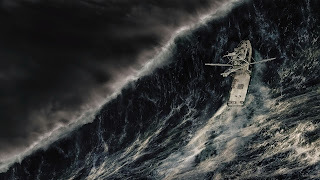 The cinematography by John Seale and the special effects crew masterfully recreate an angry ocean full of mountainous waves, furiously seeking to destroy any ship that dares to stray into the path of the hurricane. The Perfect Storm creates an intimidating canvass, with the fierce chill and threat of watery death flooding off the screen. The Andrea Gail battled against the odds and against gigantic waves, and she helped provide a lasting memorial for the power of nature and the men and woman who routinely venture into the teeth of danger.